Robert T. Hilderbrant, 82, of Wilmington, passed on Wednesday, September 12, 2018. Born in Xenia on February 16, 1936, he was the son of the late Thomas and Ida ‘Bowermaster’ Hilderbrant. Bob is preceded in death by his wife of over 56 years, Doris ‘Rinehart’ Hilderbrant, who passed on June 4, 2013. The two were married on February 23, 1957. A plumber for almost 50 years, Bob was the owner and operator of Hilderbrant Plumbing in Wilmington. 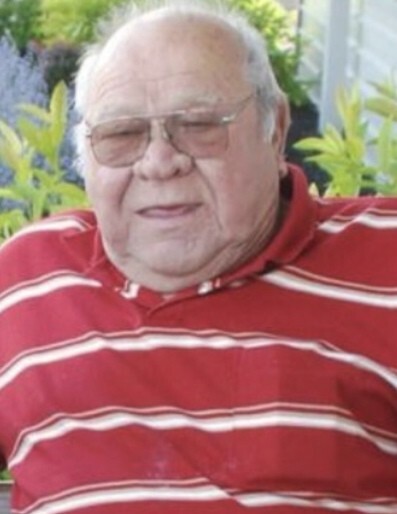 He enjoyed fishing and hunting in his younger years and was content on a mower or checking in at ‘Westside’ in Sabina. Bob is survived by his son, Rex Hilderbrant, of Wilmington. Also left to cherish his memory are grandchildren: Bryan, Michelle, and Chelsea Hilderbrant; great grandchildren: Eli and Angel Hilderbrant and Natalia Estle; and sister, Frances Collier. In addition to his parents and wife, Bob is preceded by sisters: Helen and Betty. Friends may call on Friday, September 14, 2018, from 5-7pm at Littleton Funeral Home, Sabina, where funeral services will be held at 1pm on Saturday. Burial to follow at Martinsville Cemetery.